When should I talk to my doctor about my anger? Many caregivers feel angry at some point. They may curse, yell, get irritated, withdraw, or even get physically sick. 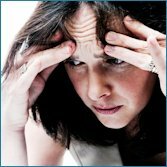 Caregiver anger usually comes from feeling out of control, overwhelmed, anxious, scared, tired or stressed. As a caregiver you may feel angry that others are not helping enough, or angry at yourself for not doing more. You may feel that the situation is unfair and/or too much. Talk to someone. Try not to hide your feelings. Sharing how you feel helps others understand, and gives them a chance to help. Explore what’s causing the feeling. There may be perfectly good reasons you’re upset. Remove yourself from the situation. Take a short break when you need to. Find someone that you can talk to about your feelings. This could be a trusted friend or a mental healthcare professional. Try to avoid lashing out at others. Try putting yourself in the other person's shoes. Use your anger to motivate you to take action. Ask friends and family to distract you when you’re angry. Call 911 or your health provider immediately if you feel you might harm yourself or someone else. Feel like you are losing control (physically or emotionally). When should I talk to my doctor about my anxiety? Anxiety is a feeling of uneasiness, discomfort or impending doom. It is common for people taking care of someone with cancer to experience anxiety. It can be caused by a loss of control, fear for the patient’s well-being, worry over family finances, uncertainty about the future, and feelings of being overwhelmed. Caregivers with anxiety can have physical and emotional symptoms. Emotionally, you may feel tense, worried, wary, agitated, or distracted. Physically, you may tremble, sweat, or shake. You may be short of breath, have a rapid heart rate, or feel like your heart is pounding in your chest. You may have an upset stomach, headaches, loss of appetite, nausea, or difficulty sleeping. Try to identify what "triggers" your anxiety. List things that have helped in the past, and then try them out. Talk about your feelings with others. Be honest. Try to describe your how you're truly feeling. Ask your family and friends for ideas on managing your anxiety. Try to find a support group or online forum for caregivers. Learn about the patient’s type of cancer, treatment and what to expect. You can research this yourself or ask someone to do it for you. Do things you enjoy or find distracting, like listening to music. Try using controlled breathing or guided imagery to relax. Consider asking a friend to help with this. Surround yourself with friends if that relaxes you. Get exercise. For example, go for a walk with a friend. Limit caffeine, including coffee, colas, black teas, and chocolate. Ask your doctor for a counseling referral, or talk to him or her about medications for anxiety. When should I talk to my doctor about my depression? Feeling sad is normal when dealing with cancer. People can usually deal with this short-term. 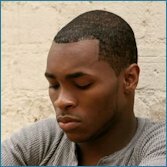 But, ongoing feelings of depression need to be treated with counseling and/or medication. Caregiver stress and overload can put you at risk of depression. Studies have shown that caregivers have higher levels of depression than non-caregivers. Don’t be afraid to ask for help. Talk to a healthcare provider if your depression lasts more than two weeks. Tell your doctor exactly how you feel, and what medications you are taking. Ask for a referral to a psychologist, clinical social worker, counselor and/or support group. Know the symptoms of depression, and recognize if you have them. Get help with caregiving so you have time for yourself. Try to understand what’s causing your depression. Talk to friends or family. Try to describe your feelings and how they are affecting you. Ask your family and friends for ideas to help you deal with your depression. Avoid being isolated. Join a support group. Talk to a counselor, pastor, priest, or psychologist. Cry and express your feelings. You can do this with a friend or use a journal. Try meditation, massage, and relaxation exercises. Try focusing on something other than how you feel. Find a creative outlet like cooking, dance, painting, or music. Eat well. Get help if you are having eating problems. Do something that brings you pleasure each day. Be around other people in restful, relaxing situations. Get exercise, and spend time outside. Ask family and friends to stay with you during difficult times, check in with you often, do enjoyable activities with you, and help with stressful tasks like doctor visits, bill paying or household chores. If you are prescribed medication for depression, take it as directed. Call 911 or your doctor immediately if you feel you might harm yourself or someone else, and/or call a regional suicide hotline. When should I talk to my doctor about my fatigue? Fatigue is an overwhelming sense of tiredness. If you are fatigued, you may have little energy to do the things you normally do—even if you are getting enough sleep. You may feel tired all the time, weak, worn-out, slow, or heavy. You may also feel sad, irritable, and frustrated. Fatigue can affect your quality of life, mood, relationships, and performance. Caregivers are at risk of fatigue from emotional stress, overload, poor sleep, poor nutrition, and not enough exercise. Get help with caregiving and household chores so you can take breaks. Nap no more than 30-45 minutes in the late morning or early afternoon. Stay active during the day. Get at least 15 minutes of exercise every day. Try not to overload your daily to-do list. Eat well. Have healthy snacks around, like a bowl of fruit, vegetables, or cheese. Avoid fatty and fried foods especially at bedtime. Drink water or beverages without caffeine to keep hydrated. Avoid caffeine after 3pm, including coffee, colas, black teas, and chocolate. Try relaxation exercises or meditation. Join a support group. Support groups can provide suggestions and reassurance in a safe environment. Talk to others about your fatigue. Having a hard time focusing while talking, reading, watching TV, etc. 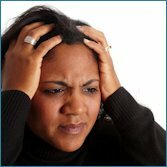 What is caregiver fear and uncertainty? What can I do about my fear and uncertainty? When should I talk to my doctor about my fear and uncertainty? Uncertainty is the inability to know what will happen in the future. Cancer and cancer treatment can be scary and unpredictable. Feelings of fear and uncertainty among caregivers are normal. But, they can become a problem if the caregiver feels he or she has no control over life, or is overly anxious, angry, depressed, or stressed as a result. Don’t try to deny your fear. Talk about it with a friend or counselor. Try to avoid thinking about "what if's." Focus on the aspects of your life that you have control over. Try not to let your emotions and fears sway your decisions. Seek out the information you need to make good decisions. Ask a friend to help with the research. Talk to the patient’s healthcare provider about what to expect. Then prepare to the best of your abilities. Give your mind a break. Distract yourself with a book, a movie or a friendly conversation, or ask a friend to spend time with you doing something fun. Figure out what helps you manage stress, and do it. Write down a list of things you’re thankful for. Look at it when you’re feeling scared. 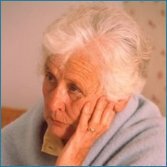 What is caregiver loneliness and isolation? What can I do about my loneliness and isolation? When should I talk to my doctor about my loneliness and isolation? Isolation happens when a person does not spend time with other people enjoying themselves. Caregivers have a lot to do. There are bills to pay, people to call, prescriptions to pick up, and appointments to go to. You may lose track of friendships and stop having a social life because of caregiving duties. This isolation can make you feel lonely, depressed, or sick. Staying in contact with people other than the patient is important. These connections can promote happiness, better sleep, and better health. Do a little something for yourself each day. If you can’t take an afternoon off with a friend, schedule a daily phone “date” with someone. Ask family members and friends to understand that even though you may be busy, you need and want them to reach out. Ask them to check in with you even if you can’t return their calls right away. Ask them to keep inviting your out even if you often have to say no. Invite friends, family and church members over to visit, take a ride, go for a walk, or eat out. Join a support group in-person or online. Get help with caregiving so you can get out of the house for a little while. Don’t feel guilty! Making time for others does not mean you’re short-changing the person you are caring for. Take the time to call and catch up with those friends and family with whom you have lost touch. Accept invitations to social gatherings. If you have a hobby, do it for a little while every day. Rent a movie. Go to a play or concert. Go out to lunch. Take a walk. Take a class to learn about something that interests you. What are caregiver sleep problems? 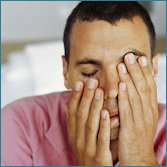 What can I do about my sleep problems? When should I talk to my doctor about my sleep problems? Sleep problems include insomnia (the inability to fall or stay asleep), hypersomnia (problems staying awake), and poor quality sleep. Sleep problems can change the way you think and feel. If you haven’t had a good night's sleep, you may feel tired, irritable, and/or jittery. You may not feel like doing anything—even things that are usually enjoyable. Caregivers often have sleep problems. You may be getting up during the night to help the patient. Or, you may be staying up late to get things done. Depression, anxiety or fatigue from caregiving can cause sleep problems. Use your bed for sleeping only. Don’t watch TV, read, or pay bills in bed. Keep your bedroom quiet, comfortable, and at a consistent temperature. Try a radio, fan, or mood music to filter out noises. Don’t eat a heavy meal right before bed. If you are hungry at night, try a light snack with warm milk. Get exercise during the day (but not right before bed). Try to deal with problems or worries during the day, and set them aside when you go to bed. Avoid tobacco. Nicotine is a stimulant. Avoid caffeine after 3 pm, including coffee, colas, black teas, and chocolate. Try relaxation exercises or meditation before bed. Ask others to avoid calling when you’re usually asleep unless it’s an emergency. Ask someone to give you a backrub or foot massage at the end of the day. If sleep medications are prescribed, follow directions carefully. Avoid boredom. Distract yourself with hobbies or other activities when you feel sleepy during the day. Avoid peanuts and dairy products, which can make you sluggish.